Roberto Ravetto (ROBBY RAVE) was born in Biella – 4 febbraio 1977. He has completed his studies in Milan where, from 2000 to 2003, he has attended the School of Comics (Scuola del Fumetto). There he has learned a lot from the experience of professionals in the field, such as Angelo Stano, Laura Scarpa, Lorenzo Sartori, Maurizio Rosenzweig, Giovanni Civardi. In addition to comics, he dedicates his time to screenplays, paintings, illustrations, sculptures and digital graphics. He has worked as a freelance animator at the stop-motion animation studio Crayons in Terni and also as a graphic designer for several advertising agencies. He has also illustrated some books, among which “Missione allo zoo di Monturone”, addressed to children and published by Cosmopolis. He has taken part in several artistic and cultural exhibitions in the area of Vercelli. His passion for art and creativity includes video editing. 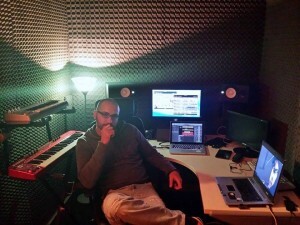 He makes video presentations and videoclips, even for his own music tracks, as a result of a great interest in electronic music.